Real estate is a long term investment to generate high return. It’s a highly valuable sector which can’t tolerate risk. Therefore, investors frequently seek for countries that can provide them long term stability and low risk environment. To date, the Malaysian property market has always been an appealing destination to fulfill investors’ needs and is no stranger to them. Malaysia boasts an excellent destination for avid property investors due to its stable social and economic atmosphere which have greatly boosted the growth of the sector. Based on statistics, the Malaysian property investment has proven to be constantly at its advantage. Over the past five years, apartments have been on the rise at a rate of 40-60% valuation while houses rose with 20%. These figures indicate a signs of no slowing down in the market. People always opt for new apartments or new houses as this market offers lucrative return. To look for the desirable home,making the right choice ranging from location, price and even the aesthetics of the home are extremely important. In general sense, people purchase property for the purpose of owner occupancy or investment. They are known as “home owners” and “property investors”. In this article, we shall take a closer look at the core differences between these two types of property buyers and the strategies that best catered them. 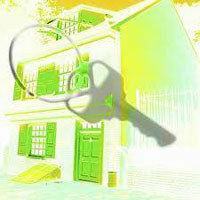 It’s important for you to identify the category you fall into, before purchasing property. In layman term, “homeowner” refers to people who buy property to live in (and not to rent it out). They consist of people who have the intention to stay in their property for long-term (longer than 10 years) with emotionally driven purchases. On the other hand, “property investor” refers to people namely landlord or property buyers keen on resale. These property investors usually do not reside in the property they purchase and if they do, it will not be long before they re-sell it once prices peak in the short-term (less than 5 years). They are normally more focused on profit above all, without being emotionally driven.There are a range of factors for property owners and home-owners to tackle differently. Real estate possesses the potential to double or even triple in value over the course of one year which makes it an impressive method to invest our funds. Most intelligent investors already come into realization that real estate is the perfect choice to pursue if one’s goal is to establish a stable income stream, whereby only increases with time. According to Dr. Lee Ville, Director of New Bob Group, “Real estate investment is an ideal way to boost your personal wealth should you able to produce the initial investment , whereby goal is to generate as much money as possible while subsequently prevent potential pitfalls. Regardless of rental property or flip houses, with real estate investment, you are definitely one step ahead to financial freedom”, he said. Real estate investment is undeniably one of the most secured form of investments in securing one’s wealth. It possesses the capacity to appreciate in value overtime, even as an effect of economic fluctuation. And is unlike stocks and bonds which are more volatile and susceptible to recession, a scenario encountered in 2008. According to Dr. Lee Ville, the director of New Bob Group, “Real estate is an asset which can react proportionately to inflation. When inflation strikes, house values and rental automatically go up simultaneously . It will only appreciate in the long term, after 10-20 years. Hence, investors are not likely to lose money via this investment but instead generate profits through acquiring, selling and renting of properties”.